Genesis 1–11 showed man’s problem, which gives us the reason for the promises to Abraham, and the reason for the rest of the Bible. Genesis 1 and 2 show what God wanted for man, that he would live forever in a paradise and in fellowship with God, but Genesis 3 shows how the first humans corrupted what God made, and Genesis 4–11 show the results of the initial corruption, that sin entered the world and that death, the consequence of sin, followed. 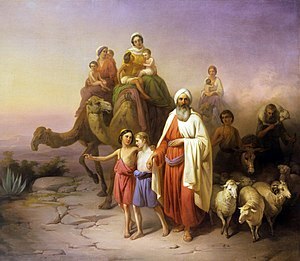 Genesis 11 shows man trying to create His own paradise apart from God, but even as the Israelites who had rejected the Land of Canaan but changed their mind and tried to take the Land of Canaan, and failed miserably when they did so, it likewise happened in Genesis 11 that man wanted what God wanted, but man would do it his way and not God’s way, bringing failure. And they said, “Come, let us build ourselves a city, and a tower whose top is in the heavens; let us make a name for ourselves, lest we be scattered abroad over the face of the whole earth” (Gen 11.4). They wanted a name for themselves, believing they could not achieve it by scattering over the earth as God had told them to do in filling the earth. However, in Genesis 12.2, the Lord promised to make Abraham’s name great, and that through Abraham God would bless all the families of the earth (v. 3) in His own way, because He knows what He wants for man. This beginning part of the story of the Bible shows that God wants something: He wants to dwell with us, He wants us to be His people, and He wants to be our God. I call this The Family Promise of God, and through both the Old and New Testaments, He slowly revealed His plan for bring on these things, and it all begins in Genesis 12 with promises that He made to Abraham. This is the truth: The rest of the Bible, from Genesis 12 to Revelation 22.21, develops this promise, so that the Bible is one story, not a collection of many disjointed stories. Everything in the Bible is connected to the promises to Abraham. And the Scripture, foreseeing that God would justify the Gentiles by faith, preached the gospel to Abraham beforehand, saying, “In you all the nations shall be blessed” (Gal 3.8). Did you think Peter first preached the Gospel on the Day of Pentecost? What Peter preached was simply an episode in a long story that began in the Book of Genesis, formulated in the mind of God before He created everything. “Yes, and all the prophets, from Samuel and those who follow, as many as have spoken, have also foretold these days. You are sons of the prophets, and of the covenant which God made with our fathers, saying to Abraham, ‘And in your seed all the families of the earth shall be blessed’” (Acts 3.24, 25). Peter taught that the whole Old Testament message is built upon the promises to Abraham, and all of that looked toward the fulfillment that we experience in the Christ and in the Church. Lord willing, in the time to come, I shall show you the abundance of evidence for what I am proposing, and you shall see the Bible as never before, perhaps leading you to conclude that you had never really read the Bible. You knew parts of it very well, but did not understand how it all connects into one story. I am not the first to see this, but preachers of every church have seen it. Walter C. Kaiser, Jr. in, Toward an Old Testament Theology, wrote, “There is an inner center of plan to which each writer consciously contributed” (page 11). Christopher J. H. Wright in, The Mission of God, wrote, “It is…a pivotal text not only in the book of Genesis but indeed in the whole Bible” (page 194). When I entered preaching school in 1978, we had a class called, “The Scheme of Redemption,” taught by brother Don Sullivan. All of us students sat entranced in his class as he unfolded the Scheme of Redemption and how the promises to Abraham launched God’s plan. “The revelation of these two promises is the central theme of both testaments” (Don Sullivan). Don Sullivan learned this from brother Ed Wharton, and he has published his course in a book, The Scheme of Redemption: A Comprehensive Study of the Biblical Revelation of Human Redemption as Historically Fulfilled in Christ and His Church. However, what I have already given from Acts 3 and Galatians 3 from the pens of inspired men persuades me more than the writings of modern uninspired men. 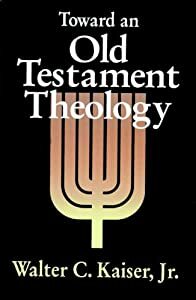 This entry was posted in Misconceptions about the OT, NT Use of the OT and tagged Abraham, Bible, Book of Genesis, Canaan, Christopher J. H. Wright, God, Old Testament, The Foundation of the Story of the Bible, The Promise to Abraham, Toward an Old Testament Theology. Bookmark the permalink. Agree, however I base my belief on the fact that God never changes from beginning to end. So simple for me. And for a while I thought I was on the looney boat, for thinking such. Amen, and the Bible says of Jesus, “Jesus Christ is the same yesterday, today, and forever” (Hebrews 13.8).